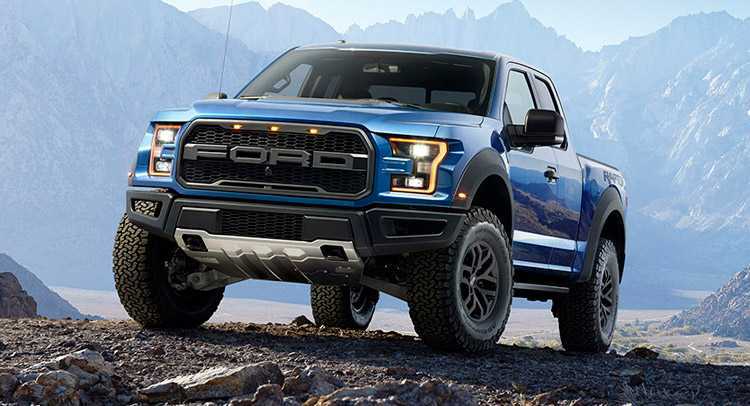 It seems like Ford is confident in the design of the 2017 Ford F-150 Raptor that the company is not bothering to camouflage the pickup truck any more. The vehicle made its debut last year, during the Detroit Motor Show, but it still hasn’t hit the roads and arrived at dealerships. During the Detroit Motor Show, the 2017 Ford F-150 Raptor was shown in the SuperCab form which had two doors at the front. However, new pictures of the 2017 Raptor show a cabin with four doors in the front as part of the larger SuperCrew cab. The new pictures provide the best view at the prototype so far and we like what we see from the Raptor. What is evident is that Ford is getting back its signature front fascia. On the front of the fascia, the company has spelled the name F-O-R-D, as the logo replaces the regular F-150 nose for the current model. The name is spelled on the center of the all black grille. Other design lines on the front fascia include unique front bumper and the slatted hood. The bumper gives the 2015 F-150 steeper angles. The new design of the 2017 Raptor clearly shows the fenders on the front and the back. Going into the cargo properties and settings of the 2017 Raptor, the SuperCrew has the same box, the 5.5-foot box seen previously on the two-door SuperCab. Ford also has a new suspension system for the 2017 Raptor. The new suspension includes improved springs, second generation tires of the BFGoodrich K02 type and larger-diameter Fox shocks. The springs are the most important part, as the company claims to improve the rear springs specifically to support and improve ride quality. Under the hood, the 2017 Ford F-150 Raptor features a 3.5-liter V6 engine, the same EcoBoost engine we previously saw. The engine produces 450 ponies under the hood and is accompanied by a 10-speed automatic gearbox. 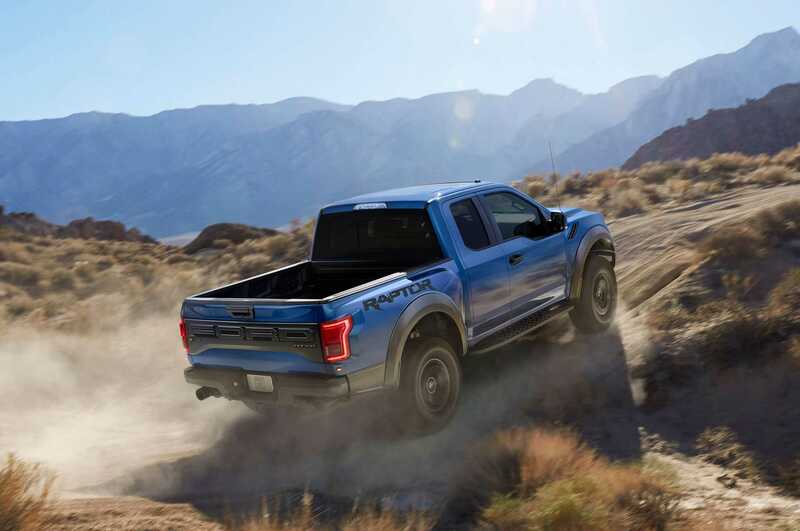 For off-road conditions, Ford has installed some new features in the 2017 Raptor, including terrain management technology and Torsen front differential that comes as an optional setting. With the 2017 F-150 now fully naked, Ford is now trying to test the truck at all conditions, making sure that the vehicle will deliver exceptional ride quality to accompany the meaner and more aggressive look.